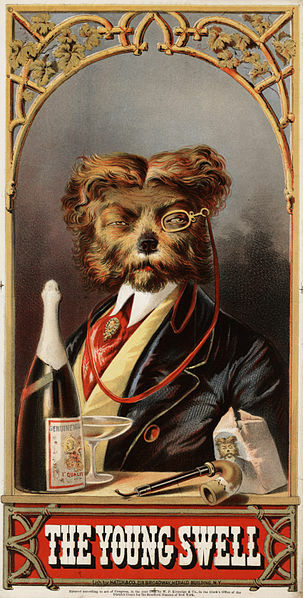 All-species fitness: A toast for the graduates! And then another for you! for New Year's, graduation, and beyond? Researchers at the University of Reading in the UK have shown that champagne may provide the same health benefits as red wine. The research, conducted on lab mice, suggests that drinking up to 2 glasses of champagne per day improves the way blood vessels function. Polyphenols, antioxidant chemicals found in the red grapes used in champagne production, slow down the natural removal from our blood of nitric oxide, a molecule that controls blood pressure and increases blood flow. Drinking either red wine or champagne increases availability of nitric oxide in the blood, which not only enhances blood flow, but also decreases blood pressure and the likelihood of blood clots. Antioxidants are thought to reduce the damage to cells caused by free radicals in the body and are found in red grapes, far less in white ones. 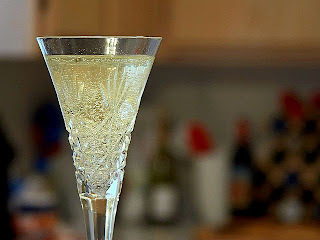 Champagne and other sparkling wines, such as prosecco and cava, contain both red and white grapes and thus contain antioxidants. So does cocoa (yes! ), so that is reason enough for celebration, even if you don't have a graduate in your family this year. Where were you last New Year's Eve? Just to add some more bubble to your party, the same researchers have also found that drinking 1-2 glasses of champagne each week can also help improve your memory and avoid brain disorders, such as dementia or Alzheimer's disease. These diseases may start when people are in their 40s, on through their 80s, said the study's lead author, Dr. Jeremy Spencer, a biochemistry professor. Since dementia, for one, occurs as a gradual decline, he added that "the earlier people take these beneficial compounds in champagne, the better.” In case you were looking for an excuse... champagne improves your fitness! As we age, we lose certain proteins that control our ability to remember events or places we've been ("where was that party?"). Red wine contains flavonoids (as does tea, cocoa, soy products, and various fruits and veggies), which help build and protect neurons and brain functioning. Champagne lacks flavonoids, but the dark Pinot Noir and Pinot Meunier grapes used to make champagne contain phenolic acid, another compound that slows the loss of these proteins and the subsequent decline in memory and other cognitive skills. Champagne appears to improve spatial memory in particular, which you use to record and store information about your environment to use for future navigation (including getting back to that party). This second study, published just this month in the British Journal of Nutrition, found that lab mice that were fed champagne with their food every day for 6 weeks remembered better than other mice how to negotiate a maze in order to find a treat. 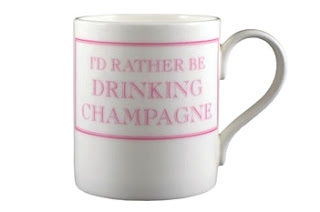 Don't try this at home (coffee mugs are still for coffee), as too much alcohol is still Bad.For.You. The champagne-filled diet hasn't been tried on people yet, so while this early work identified a link between champagne and memory, more research is needed to see the long-term effects. Fun times for the planned 60 retirees (pensioners) that will soon be asked to drink champagne regularly for 3 years in the name of science! 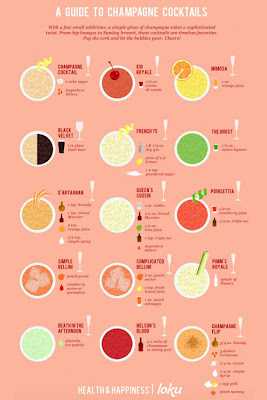 For the rest of us, since a varied diet may soon include champagne, you might try some of these champagne cocktails - enjoy!